The name of Pierre Monteux inevitably brings Stravinsky's 'Le Sacre du Printemps' to mind. He conducted the notorious first performance in Paris in 1913, which degenerated into a brawl broken up by the police. This historic event has slightly overshadowed other Ballets Russes commissions, such as Ravel's 'Daphnis et Chloé' and Debussy's 'Jeux', which were first performed under this French conductor, who was born in Paris in 1875 and died as an American citizen in 1964. Record enthusiasts with long memories will recall various works by these two composers recorded by Monteux, particularly with the London Symphony Orchestra, with whom, when well into his eighties, he had recently signed a renewable 25-year contract! But to categorise Monteux as a specialist in French music would be unfair. It was a label he himself derided, for his repertory encompassed the central German/Austrian nineteenth-century repertoire and he also recorded - with the Vienna Philharmonic and the London Symphony Orchestra - a highly sought-after cycle of the Beethoven symphonies. 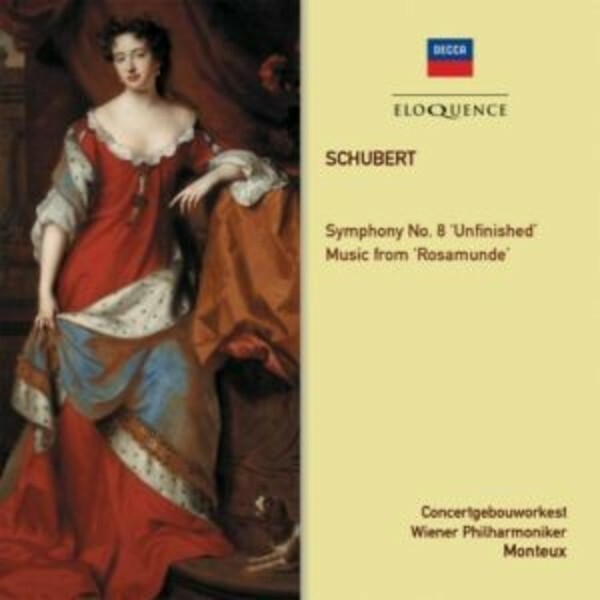 His interpretation of Schubert's 'Unfinished' (recorded in 1963 for Philips) is very romantically-centred, the extremely leisurely tempi for the two movements creating something of a timeless quality. Three excerpts from Rosamunde were recorded six years earlier for Decca.